Activities and projects encourage children to explore the engineering design process. They will engage in hands-on explorations of wind, test Newton's laws of motion, and experiment with the strength of different shapes. In the process they will learn about gravity, inertia, oscillation, and static electricity. Using various materials and engaging in trial and error, readers will construct their own towers and skyscrapers. 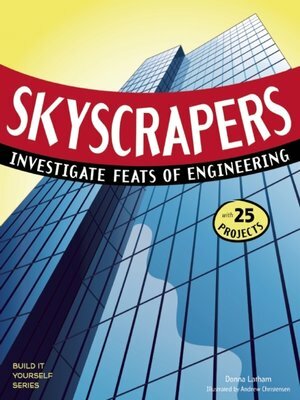 Skyscrapers meets common core state standards in language arts for reading informational text and literary nonfiction and is aligned with Next Generation Science Standards. Guided Reading Levels and Lexile measurements indicate grade level and text complexity.